Buying used auto parts or used truck parts online can save you lots of money and spare you the time and hassles of combing through salvage yards. Following are a few tips to help ensure that you have a safe and satisfactory experience. has been in business for 50 years. We carry page after page of classified ads for used auto parts, with new classifieds being listed all the time. Our listings include everything from used engines and transmissions to used snow tires, hoods and grills—and you can often purchase several items together at a discount. Some sellers will offer a deal with used auto rims for sale if you purchase them with tires or wheels. Be sure that a used part is safe for the repair you want to make. 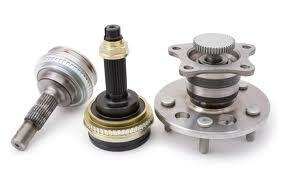 Some damages can only be fixed with brand new parts; a used part could seriously compromise your safety. Items that are safe to buy used include: tires and rims; mirrors, accessories, body parts such as fenders, hoods and grills—and sometimes even engines and transmissions. When in doubt, consult your owner’s manual or seek the advice of a professional automobile mechanic. Gather as much information as possible about the part you are intending to buy. Consider the age and condition of the part. Has it ever been repaired or remanufactured? At this point, it’s wise to do business in person after finding the seller online, so that you can confirm that the used car part is exactly what you need to repair or adjust your vehicle. Whether you drive a BMW or a Buick, a Honda or a Chevrolet, you can find an array of used domestic and foreign automobile and truck parts for sale right here at Want Ad Digest. Want to sell a used auto part? Click here to place an ad. So when looking for parts here make sure you know your part compatibility.